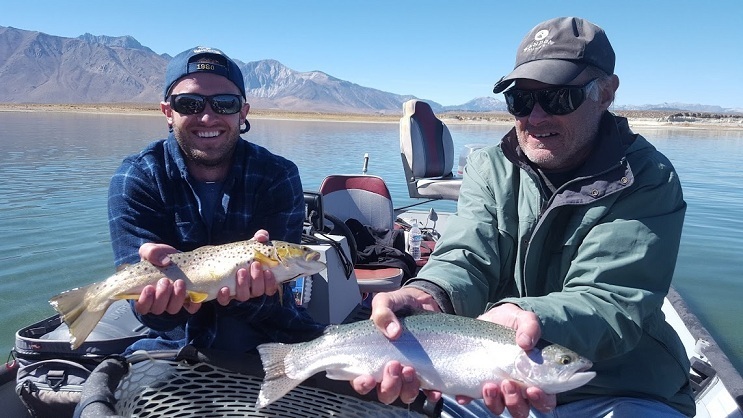 Jim Law and his son Mike fished Crowley today with Jim and caught some quality fish. 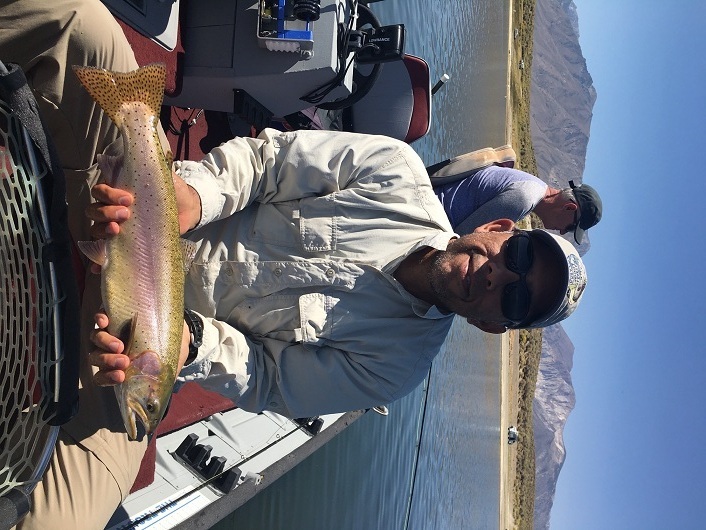 The north arm continues fishing just about as good as it gets. Six Bays is just getting started as most of the weeds are gone, but the water is getting a little green with the recent temp drops. Layton and Alligator have been the place to be the last week or so. 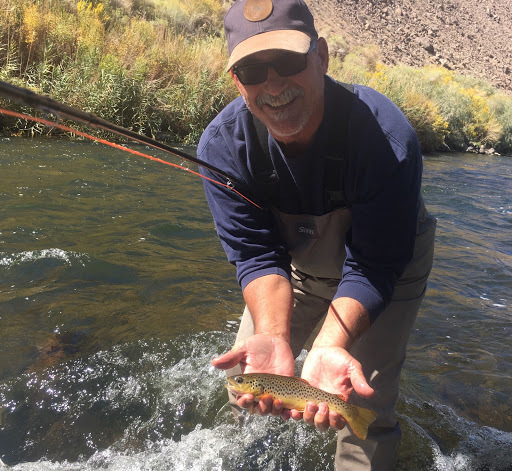 Good mix of Rainbows, Browns and Cutthroat. 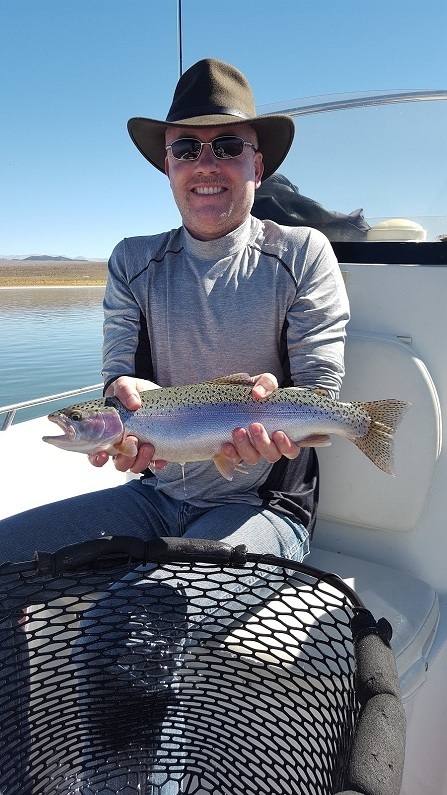 The cutthroat are usually massive when you do manage to hook one. 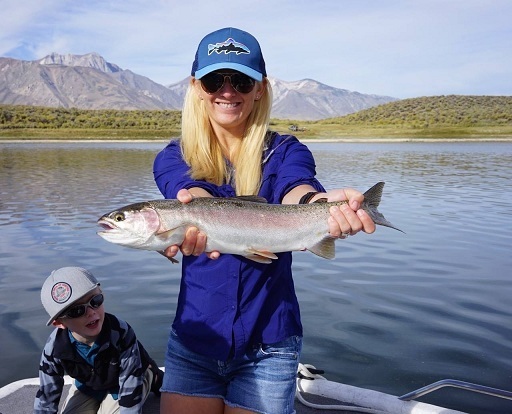 Some fish still in the Hiltons and Crooked, but not in big numbers. The Perch fry are pretty much over and done with.Stripping has been pretty slow compared to fishing under the indicator. If you're going to strip in the tube, big buggers and leech patterns are best right now. This was one of many doubles for the day! Father and son duo with Mike on the left and Jim on the right. 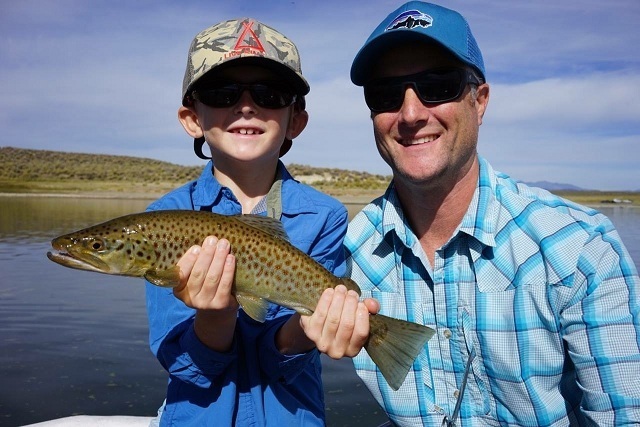 Mason fished Crowley with Jim last week and with a little help, stuck this pig of a brown! It's as big as he is! 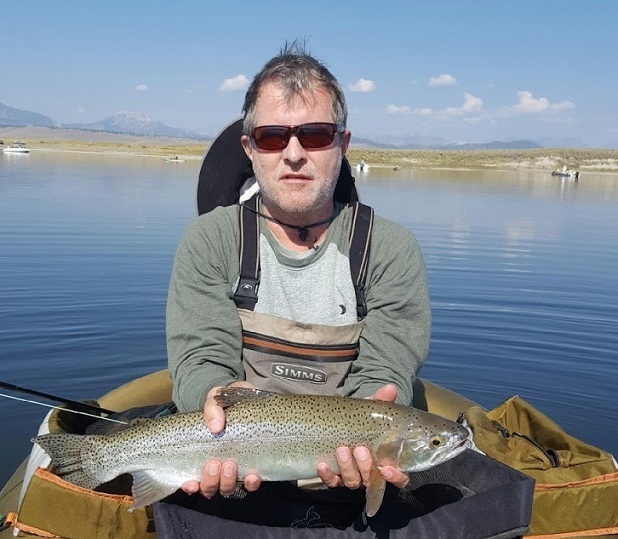 Dave again with a big Crowley rainbow too! 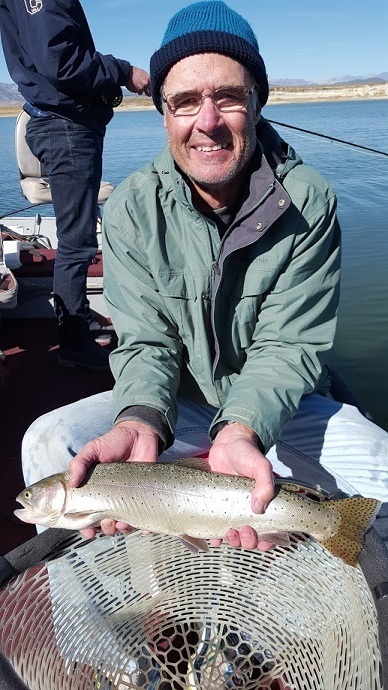 No cutthroat unfortunately. 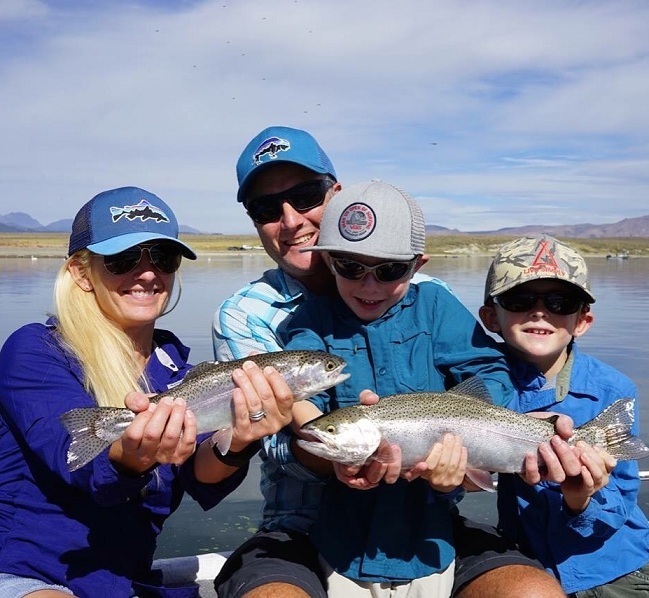 Erin Bender and her family were up for their annual Mammoth vacation and it looks like Cog got them on some quality fish. Here's Erin with a pink Crowley Rainbow. Here's the rest of the Bender clan with a few more Crowley fish. 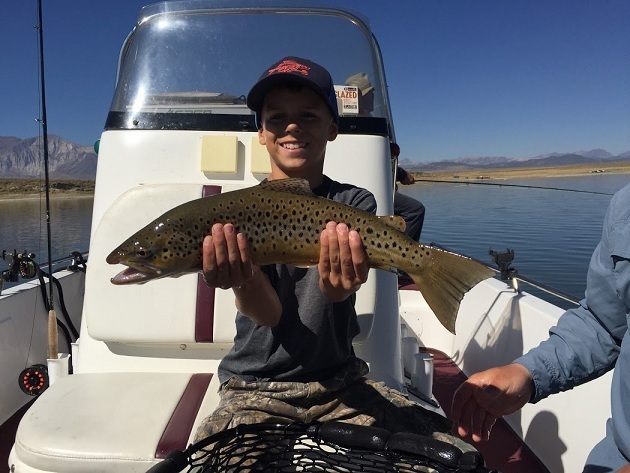 Here's Jackson with his brown. George Chial fished with Jim on Crowley last week and managed to stick this massive cutthroat! Bud Schmitz from Carsbad tubed Crowley with Chad and stuck some big ones.